Stellar Phoenix Windows Data Recovery is a partition recovery software designed to retrieve lost information/data from FAT, NTFS, and exFAT file system and to save it into a new file. It works on various storage media including hard drives and memory cards. It comes with a BOOT CD for the Professional and above licenses, which can be used in case the system is not bootable. ?· Partition Recovery - Recovers lost, deleted or formatted data from FAT, NTFS, and exFAT file systems. ?· Search Option - Enables the users to search any specific lost or deleted file, folder in the drive. ?· Deleted File Recovery - The Deleted File Recovery option enables recovery of deleted or formatted MS Word, Excel, Access, PowerPoint, Zip, and BKF files. ?· Lost/Deleted Audio/Video Recovery - Allows recovery of audio and video files from lost, deleted, and formatted Windows Partitions. ?· Photo Recovery - The software recovers lost, deleted photos, pictures, and images from computer Hard Drive, Memory Card, Pen drives, SD card, and external drives. ?· Search Lost Drive - The 'Search Lost Drive' option is useful to search any lost drive. ?· Auto Update - The 'Auto Update' feature enables software upgrade. ?· File Preview - The software enables preview of all the recoverable files after scanning. ?· Tree View - The recoverable files are shown in a tree view after the scanning. ?· Formatted Files/Folders Recovery - Enables lost and formatted file and folders recovery from the drive. ?· E-mail Recovery - Recovers lost, deleted Emails from email clients, such as Microsoft Outlook and Outlook Express. ?· File Filter - The ''File Filter' option allows recovery of files on the basis of their extensions. ?· Signature Based Recovery - Allows recovery of selected file types. ?· Resume Recovery - Helpful to restart recovery process at any later time. 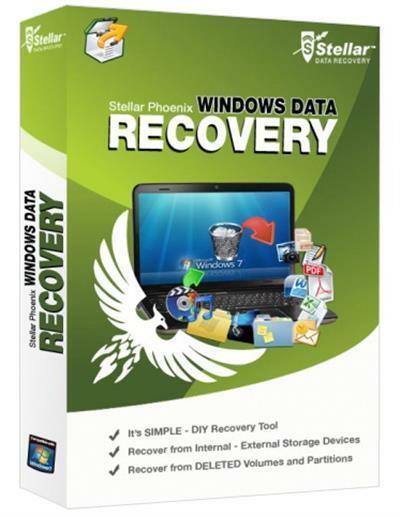 ?· Raw Recovery - Recovers all the data from hard drive, external drive, or a logical volume of the hard drive. ?· Save Scan - Enables to save the scanned data to start data recovery at later time using the saved scan result. ?· Drive Status - Monitors and updates about the status of the drive to inform about any impending hardware issues. ?· Clone Drive - Creates a similar copy of the hard disk. ?· Create Image - Creates an images of the hard disk or the selected logical volumes. ?· Masking - The 'Masking' option is useful to narrow the scan result.